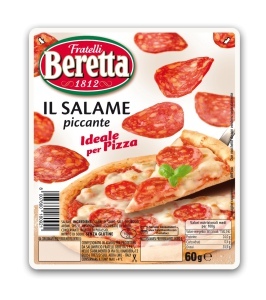 Beretta presents its new ‘Strong Salami" ("Salame Piccante") ideal for homemade pizzas but also, because of the strong and appetizing flavour of paprika, combined to the best salami of Beretta’s tradition, for appetizers, snacks, first and second courses, creating fancy canapés and flavouring flat breads in a creative and original way. 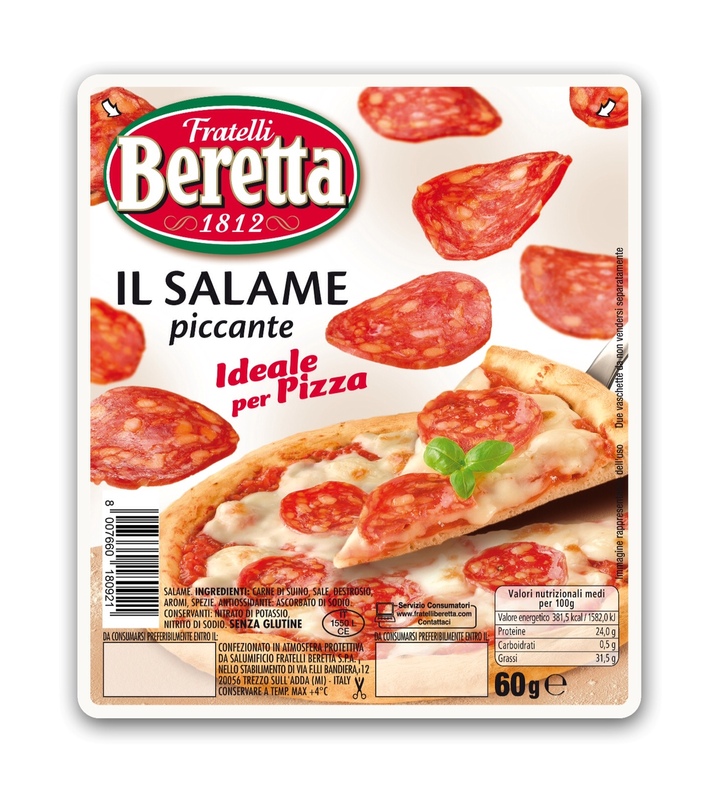 Salame Piccante, ready for use, is proposed in the refrigerated section in the best chains of Large-Scale Retail Trade in the 60 g size. It is packaged in the handy food tray with two sections.